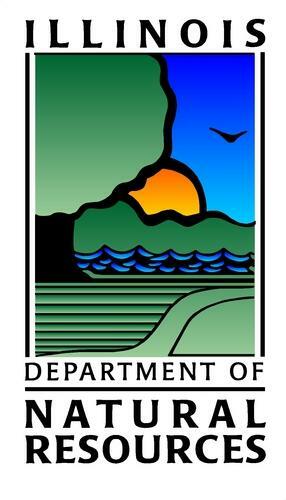 SPRINGFIELD, IL – The Illinois Department of Natural Resources (IDNR) today announced applications will be accepted through March 14 for grants through the Recreational Trails Program (RTP), Off-Highway Vehicle (OHV), and Illinois Bicycle Path Grant Programs beginning on January 14, 2019. The Recreational Trails Program (RTP) is a reimbursement grant program that provides 80 percent of project funding with a required 20 percent local match. This grant program is federally funded and is administered by the IDNR in cooperation with the Federal Highway Administration (FHWA). The funds can be used to assist government agencies and trail groups in the rehabilitation, development, maintenance, and acquisition of recreational trails and related facilities. The trails may be motorized, non-motorized, or multiple use trails. RTP funds can also be used for environmental protection and safety education projects related to trails. This program is funded through the transfer of federal gas taxes paid on fuel used in off-highway vehicles used for recreational purposes. The program generally has $1.5 million available for grants, with a maximum development grant amount of $200,000. There is no maximum on acquisition grants. The primary purpose of the Off-Highway Vehicle Recreational Trails Program (OHV) is to provide financial aid to government agencies, not-for-profit organizations, and other eligible groups or individuals to develop, operate, maintain, and acquire land for OHV parks, trails and trail side facilities that are open and accessible to the public in Illinois, and to restore areas damaged by unauthorized OHV use. Funds for the grant program are derived from revenue generated in the State Treasurer’s “Off-Highway Vehicle Trails Fund.” OHV will reimburse up to 100 percent of total approved project costs up to the maximum. If necessary, the remainder of the costs will be borne by the project sponsor. OHV is a reimbursement program, meaning that a project sponsor must have sufficient cash, donations, or eligible in-kind services to pay for work, and then be paid back the grant percentage after approval of a reimbursement request. The OHV program will have approximately $690,000 available for grants in 2019. There are no maximum grant amounts. The Illinois Bicycle Path Grant Program (Bike Path) provides financial assistance to eligible local units of government to assist them with the acquisition, construction, and rehabilitation of public off-road, non-motorized bicycle paths and directly related support facilities. Agencies that apply for projects that accommodate additional trail users, such as equestrians, will receive special consideration in the review of grant applications. Project applications are limited to land acquisition or trail development along a single trail corridor. Looped trails within a single parcel or park site are not eligible for Bike Path funding. These projects, however, may be eligible for Recreational Trails Program (RTP) or Open Space Land Acquisition and Development (OSLAD) grant assistance. The only exceptions are looped trails located within very large preserves. Bicycle routes sharing existing roadway surfaces are also not eligible for funding consideration under this program. The Bike Path program will reimburse up to 50 percent of total approved project costs up to the maximum allowable cost. The remainder of the costs will be borne by the project sponsor. The program has approximately $12.1 million dollars available for project assistance. There is a $200,000 maximum grant amount for development projects and there is no maximum for acquisition projects.The application period for these grant programs administered by the IDNR opens January 14, 2019 and applications must be submitted to the IDNR by 5:00 p.m. on March 14, 2019. The Notice of Funding Opportunity can be found online at this link: https://www.illinois.gov/sites/gata/Pages/default.aspx. Consult the IDNR website at www.dnr.illinois.gov for more information or call the IDNR Grants main line at (217) 782-7481.